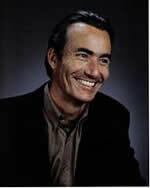 Trip Hawkins is Founder and Chief Executive Officer of Digital Chocolate, Inc. Established in December of 2003, Digital Chocolate publishes leisure software for the mobile phone market. Previously Hawkins was the Founder of Electronic Arts and ran the company for 12 years, building it into the industry's leading video game software company. He also founded and ran 3DO, a pioneer in consumer applications of 3D graphics, computer networks, and optical disc technology. Hawkins pioneered the use of such terms as "producer" and "affiliated label" in the video game industry and was the first to publicly promote and give prominent credit to the creative talent behind the games. He also invented and initiated the use of celebrities from other fields in the development and promotion of video games. His credits as a game designer include many award-winning best-sellers such as Doctor J and Larry Bird Go One on One; John Madden Football; Army Men; and High Heat Baseball. Prior to founding Electronic Arts, Hawkins was a senior manager with Apple Computer in its early years, joining in 1978 when Apple had 50 employees and had sold only 2,000 computers in its entire history. While reporting to the founders of the company over a period of four years, Hawkins played a critical role in the development of the personal computer market and in the definition and design of product features that became industry standards that remain with us today. Hawkins holds a degree in strategy and applied game theory from Harvard College and an MBA from Stanford University.